Hello dear FINE lover and wellcome to this page. It was initially launched as the spot to find out interesting stuff about Slovenian wine back in 2008. Since then it has seen it all, at least 3 theme changes, interesting stuff and also a long hiatus … Since it’s celebrating its 10th anniversary, time has come for a huge overhaul. Finally I’m starting it allover, fresh, sparkling and with the intent to speak about wine, dine and other interesting stuff. 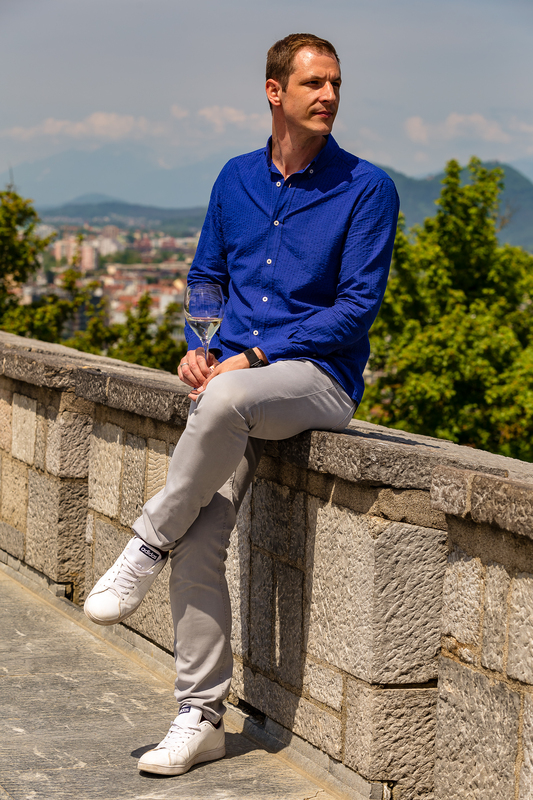 I am Valentin Bufolin and I am a passionate winelover from Slovenia. I enjoy tasting wine, discovering its aromas, flavors and learning as much as I can from it, but I aslo enjoy food, good company, friends, spending quality time with my family and discovering interesting locations around the globe. How I gathered my knowledge? Probably this all has also helped in hosting seminars and masterclasses in both Slovenia and Italy. I’m also honoured to be the Sommelier national vice champion in the year 2018 as a direct result of this wine soaked career. Wine category certainly points to a selection of posts about wine, winemakers, wineregions and news. Hopefully you’ll find some valuable idea on what to taste, where to go for your next winetrip or where to make your next purchase. Dine category is meant to show you some interesting coulinary tips, some nice places worth visiting for spoiling your taste buds, maybe even some recipies, or just ideas on what to do in an easy, confy and quick way. Everything fine is the most open category, here you’ll find most open topics that don’t fit into any of the previous mentioned ones. If you have any additional questions, suggestions, propositions, want me to write a review of your wine, want to chat, have a glass of wine… feel free to contact me. With the understanding that:Waiver – Any of the above conditions can be waived if you get permission from the copyright holder.